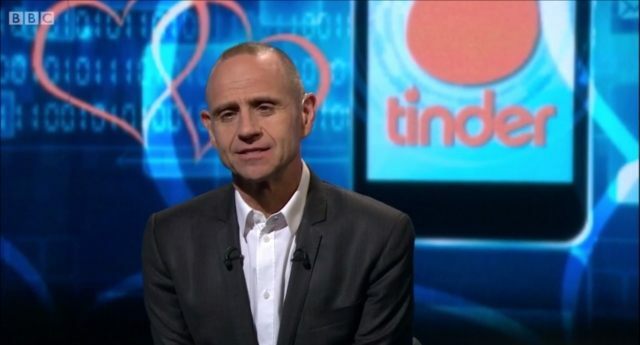 Gay BBC presenter Evan Davis shocked Newsnight audiences last night as he described social media dating app Tinder as a platform that allows straight people to “behave like gay men”, going on to state that the app is an “easy hook up service”. Davis’s comments drew the ire of gay Twitter users who said, “I hate to be THAT guy, but you do a segment about Tinder, and you choose THIS as the intro. What the HELL”?